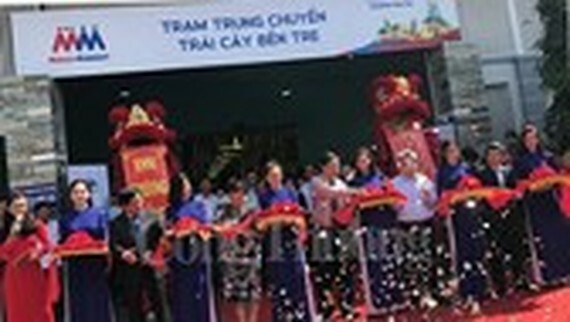 MM Mega Market Vietnam opened a fruit depot to transship fruit from the Mekong delta to Southeast Asian countries. In the first phase, around 15 tons of more than 100 fruits including grapefruit, coconut, pineapples, watermelon, lemon, orange and mango from the Mekong delta will be transshipped in the depot. Next year, the depot will receive around 50 tons of fruits to export to Southeast Asian countries at least six containers a month. 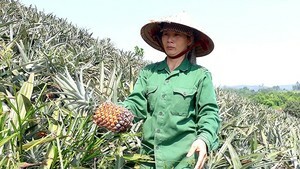 The company cooperates with 100 farmers in Mekong delta provinces of Ben Tre, Tien Giang, Can Tho, Long An, Tra Vinh, Vinh Long and Dong Thap. Groups of agricultural engineers help farmers to select seedlings, production plan, harvesting, packaging and transporting to the depot to guarantee quality and food safety. Participant farmers must write production diary in which they write pesticide dose, harvesting plan and periodic testing. The fruits in the depot will be supplied to the company’s nineteen outlets. This depot will also be an export base for Vietnamese fruit to Thailand, China and other Southeast Asian countries. This is the first of its kind in Vietnam while it is the fourth of MM Mega Market Vietnam. The company has set up depots for pork, vegetable from Da Lat and fish from Can Tho.